Clouducopia - Why we should be Thankful! — Big Co. Small Co.
Family, friends, turkey, pumpkin pie, football all day… a Clouducopia? Okay, we’ll admit that last one is a bit of a stretch, but for those of us in the IT world, not that big of a stretch. The cloud has opened up many new opportunities and benefits for which we are grateful. Resiliency – If you design for it, the cloud can't be beat! OK… Let's be frank. Take some time and trace the time it takes from one of your functional teams asking for a new application, to the time your IT team decides that it is a worthy endeavor, to the time it take to get the infrastructure team to both procure, receive, rack, customize, and make available the hardware needed for the next BIG effort that is going completely change how your company does business. When is that server ready for production? 3 Months? 6 Months??? How about a few lines of code and the team is up and programming in the cloud… How better to drive IT innovation than the ability spin up/down resources as needed. Pay for only what you need, when you need it! Many times in past roles, I had "traditional” IT leaders ask me to provide a patching service for cloud based VMs. I’m always glad to discuss personally, but my flat answer was, and continues to be… NO. Making the shift from pets to cattle is not an easy one, but we need to push our teams to embrace. A great example of this is Google's MIG updater BETA offering. To truly be thankful, we need to design for both innovation and resiliency in our Application 2 Cloud programs. To find out how BigCo. SmallCo. 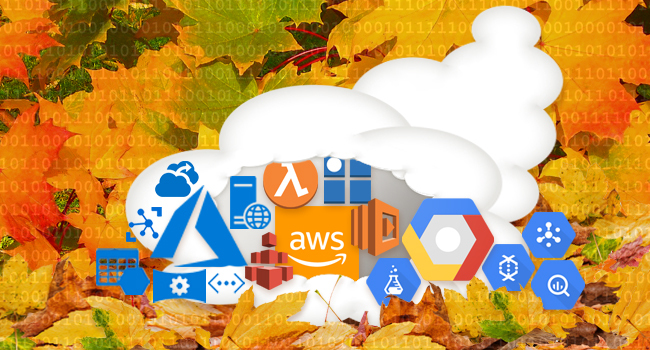 can help you be extra thankful for the cloud this holiday season, contact us today for your free 30-minute session by visiting our contact page.